Stratis is a blockchain development platform for enterprise businesses to easily create applications on specific, private blockchains. The Stratis API framework enables organizations to speed up their blockchain creation and simplify the development process involved with it. Although the company is primarily targeting financial institutions, any business interested in incorporating blockchain can benefit from the project. They’ve even partnered with a seafood company, Earth Twine. Stratis takes a more hands-on approach to implementation than other similar blockchain projects. Beyond building the platform, the team offers consulting services to businesses who may need guidance in working with their technology. They also work with clients in building out and hosting decentralized applications so they can fully understand their smart contract needs. Stratis isn’t a coin. It’s a Blockchain-as-a-Service (BaaS) platform that facilitates the development of blockchain-based applications. Using the Stratis lite clients, side chains, and robust APIs, you get the benefits of a blockchain without having to support an entire blockchain network. As a BaaS platform, Stratis hosts the blockchains running on the network through the cloud. There’s no need to maintain a full client node to access or work with your specific blockchain. This frees up resources for organizations who otherwise would have spent a significant amount of time and resources doing so. Similar to Ark, Stratis focuses on ease-of-use through the implementation of a one-click blockchain deployer. You can quickly deploy a customizable sidechain with many out of the box features found in the main parent chain. An entire network is just one click away. The one-click deployer expands further than the Stratis blockchain, though. You can also deploy a sidechain to other major platforms like Bitcoin, Ethereum, Lisk, and BitShares tapping into features that aren’t offered natively in-house. 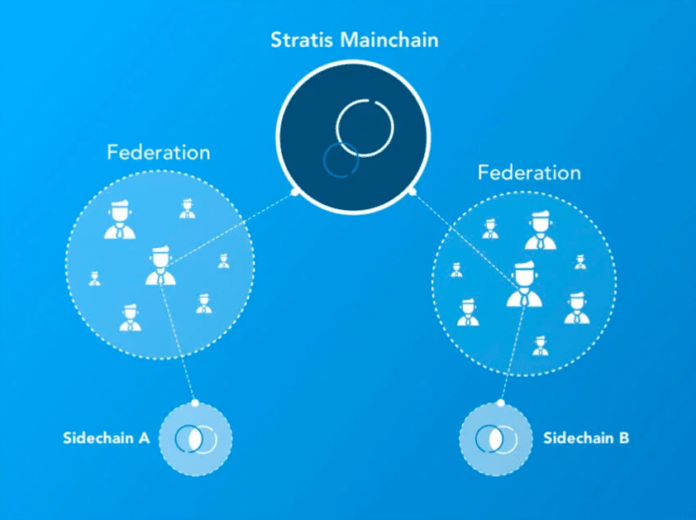 Each blockchain that you deploy using Stratis is a private sidechain. Sidechains allow for customizability while still taking advantage of the secure infrastructure of the parent chain. Additionally, you can make changes to your specific blockchain without affecting the other chains on the network. Branching slightly outside of enterprise development, the team has also created an ICO platform. With the ICO platform, you can host your own ICO on the Stratis blockchain network. Stratis has partnered with Onfido to provide KYC checks for each ICO and integrates Changelly to give you the ability to support over 50 different currencies as ICO contributions. Similar to Civic, Stratis Identity essentially stores identities on the blockchain. You can use the app to verify business ownership for investments, confirm an online date is who they say they are, or even prove your own identity. You control exactly how much personal information you want to share. The Stratis token (STRAT) is the liquidity currency of the network. It acts as the intermediate value transfer currency on the network. Stratis is built on a Bitcoin Full node platform using C#, Microsoft .NET, and the NBitcoin library. The team chose to use C# rather than C++, the primary language of Bitcoin Core, because it’s easier to maintain and more prevalent in business applications. Stratis Bitcoin Full Node interacts with the Interface Layer, Infrastructure Layer, and Node Policy Layer. The node is effectively in charge of the APIs, user interface, and rules for storing and verifying transactions. LibConsensus is directly from Bitcoin Core and provides part of the code for the Consensus Layer to establish what’s considered a valid block. NBitcoin fills in any remaining gaps of the Consensus Layer and also deals with the messages between nodes in the Network Layer. The Stratis team is headquartered in the United Kingdom but has members spread across the world. Several people on their management team are well-versed in enterprise software development using .NET and C# – a positive sign considering those are the project’s two primary languages. Chris Trew, the founder and CEO, has over 10 years of experience in enterprise IT and was a volunteer developer for the Blitz project. Early on, Trew partnered with Nicolas Dorier to incorporate NBitcoin. Dorier not only wrote NBitcoin but has also worked directly on Bitcoin Core and wrote the book Blockchain Programming in C#. The team has remained active since the platform’s 2016 ICO. They released the ICO platform in May 2018, Stratis Identity (iOS) in July, and became a certified Microsoft partner in October. The Stratis Full Node, C# Smart Contracts, and Side Chains are already in alpha. And, the team plans to launch them into the market sometime at the end of 2018 or early in 2019. Stratis is competing against other BaaS projects in an increasingly saturated but gigantic space. Because of this, both projects could find niches in separate markets. Like Lisk, Ark forks from Crypti and is also competing with Stratis. The platform supports multiple languages beyond just C# while still taking advantage of sidechains. Stratis uses a Proof-of-Stake algorithm to reach network consensus whereas the previously mentioned competitors use a Delegated Proof-of-Stake voting algorithm. Some people may also view Ethereum as a competitor because of the project’s dapp capabilities. However, the team’s focus on creating software specifically for enterprise clients and their consulting services lessens this comparison. Stratis held an ICO in June and July 2016 in which they raised 915 Bitcoin. The STRAT price remained relatively flat at about $0.05-$0.10 (~0.00007-0.00008 BTC) from the ICO until May 2017. At that time, it skyrocketed to over $10.00 (~0.0038 BTC) before quickly dropping down to $2.50 (~0.001 BTC) in July. The price had another spike in late July, but fell through November, especially in BTC value. At the beginning of 2018, STRAT reached an all-time price of around $21.21 (~0.00137 BTC) in conjunction with the late-2017/early-2018 bull run. Since then, the STRAT price has typically followed the general market trends. It’s remained relatively flat at about $1.00 (~0.0002 BTC) over the last few months. The value of STRAT is likely to increase as more businesses use the Stratis platform and more organizations build dapps (decentralized apps) on top of it. Interestingly, the completion of development milestones seems to have had little to no effect on the price. You can buy STRAT on several different platforms – the most notable being Bittrex and Binance. Both of these exchanges support STRAT as a trading pair with Bitcoin and Ethereum; however, Bitcoin trading usually has more volume. 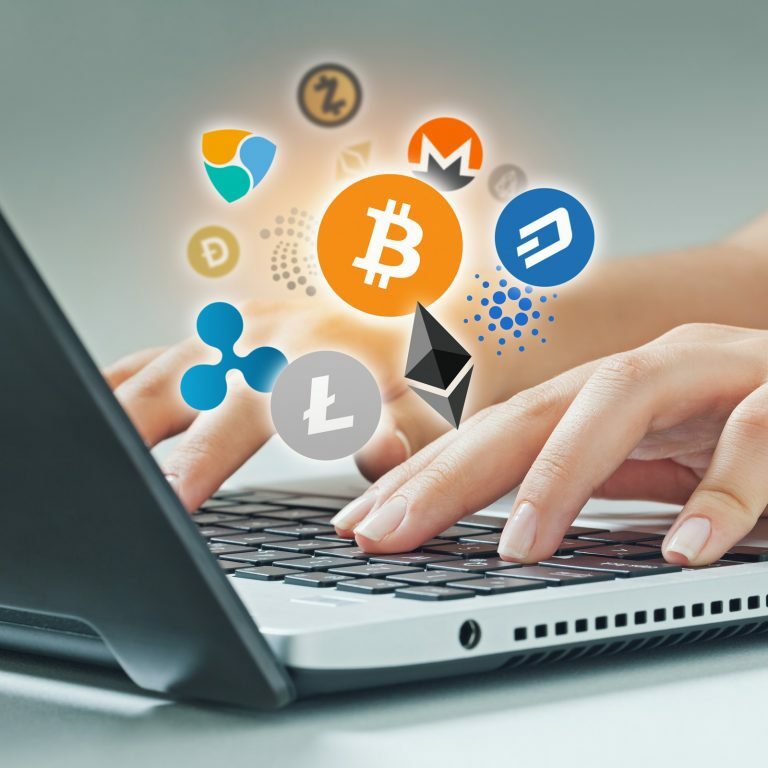 You need to purchase either Ethereum or Bitcoin before trading on these platforms. You can do so at another exchange like GDAX or Gemini and then transfer your coins over to get your STRAT. For a complete list of exchanges that offer STRAT, head over to CoinMarketCap. Stratis Core is the recommended choice in which to keep your STRAT. It’s the only wallet that allows you to stake your coins to receive ‘dividends’ from the platform. Stratis uses a PoS consensus algorithm to maintain network validity which means that you receive additional STRAT when you stake the STRAT in your wallet. Syncing the blockchain to the staking wallet can be a time-consuming process especially if you have a poor internet connection. If you’re just looking to send and receive funds, you should look into the Breeze Wallet. It supports Bitcoin balances as well. This lightweight option is available on Windows, Mac, and Unix systems. Additionally, the Breeze Wallet has a variation with privacy functionality. The Breeze Privacy Protocol includes coin shuffling and swapping technology to add anonymity to your transactions. It’s available on the same platforms as the standard Breeze Wallet. The Ledger Nano S and Ledger Blue both support STRAT. Unfortunately, the Ledger wallets don’t use Stratis Core, so you’re unable to stake your coins if you choose this option. You should consider a Ledger wallet if your primary concern is the security of your funds. Your coins are offline when using a Ledger which mitigates any risk of hackers or threatening software. Stratis is an interesting Blockchain-as-a-Service platform facing stiff competition from other reputable projects. The company has a solid management team with deep knowledge of the underlying protocol architecture as well as multiple years of experience working with enterprise clients. The enterprise market is large enough that it’s feasible for several of these BaaS projects to succeed. With one-click deployment support for other blockchains, organizations can take advantage of other unique features while still utilizing the Stratis development platform. Beyond that, the team’s dedication to full support through their blockchain consultancy should give clients the help they need to flourish in this new and oftentimes confusing blockchain ecosystem. Editor’s Note: This article was updated by Steven Buchko on 12.03.18 to reflect the recent changes of the project. The post What Is Stratis (STRAT)? | A Guide to the Enterprise Blockchain Platform appeared first on CoinCentral.